Eliza Jane Graham (1828-1897) was the daughter of Samuel Graham and Margaret B. Alexander. Her grandfather, Eleazer Alexander, immigrated to Tennessee from Scotland before 1810. Eliza’s mother and Matilda Golden Alexander’s father were brother and sister making Matilda (TSS 110) and Eliza Jane cousins. Eliza Jane grew up on a farm on Carter’s Creek in Maury Co. near the Alexanders. She attended school at the Spring Hill Female Academy on the border of Williamson and Maury counties. In 1848 she made her sampler there under the instruction of Martha Garrison, wife of Rev. Robert C. Garrison, a Presbyterian minister. Eliza Janes important sampler is unique among Tennessee samplers.  The map of Tennessee (missing the upper east portion of the state) seems to have been an innovation of Mrs. Garrison. Photograph courtesy of Bob Canaday and the Heritage Foundation of Franklin and Williamson County.